We tend to write a lot about Satellite Radio here on DIY Fridays, but that’s probably because it represents the next frontier for true satellite geeks. Digital quality audio, anywhere in the country, in your home or on the road, satellite radio represents a dream come true for nerdy enthusiasts: technical superiority, freedom, and a new chance to tinker with technology. So while, its not a purely DIY task, I thought I might use this week’s DIY Friday to talk a little bit about our new favorite technology. First of all, for those who admit that they need to learn a little bit more about satellite radio technology, this article by the folks over at Crutchfield Advisor explains the reality of the satellite radio marketplace and the options out there for those looking to tune in in an incredibly readable way. While normally I’d be a little concerned about passing along a guide about a product from a company that looks to sell you something (especially on a DIY Friday), Crutchfield is famous for being a dream company for DIYers looking to add new and improved audio technology to their car. Not only does every install kit from Crutchfield come with thorough, user-friendly instructions, but the company’s sales and help lines are famous for their knowledgeable, no pressure operators most of whom are willing to talk you through almost any car stereo installation troubles you can imagine. But what about those times that you’re not in your car or near an otherwise wonderful satellite radio receiver. Well, have no fear, an amazingly productive community of open source developers is here to bail you out of radio-less existence. According to WIRED, developers have rolled their own solution to the problem of no satellite signal =ing no radio with Pocket Satellite Radio and Mobile Satellite Radio which are able to grab the streams using a cell phone’s internet connection. While it means you might be limited to whatever stations Sirius or XM stream over the net (which means no Howard for dedicated Stern-ites), it does give you access to most stations when your in a dire situation (read: without a satellite signal). The best part? It’s a receiver for only $20. We’ve seen the future, and it contains uninterrupted service. "This trial is a significant step toward next-generation mobility," said Drew Caplan, MSV chief network officer. "Nortel’s 4G and IMS expertise will help us demonstrate our transparency network architecture to support hybrid satellite-terrestrial communications on the basis of a 4G broadband platform, enabling new dimensions of service for our customers." The trial with Nortel, which will be conducted in the Reston, Virginia area, will initially feature high-speed wireless voice, data and Web access, file sharing, and VoIP connectivity using residential gateway devices and PC Cards for users in fixed and portable modes of use. Subsequently, MSV expects to incorporate push-to-talk, video calling, picture-caller ID, and presence capabilities, full MSS/ATC integration, and support for a range of mobile devices. Nortel will integrate its WiMAX and IMS connectivity as well as devices and ASIC technology from Kyocera, WiNetworks, and Runcom Technologies. Although MSV was the first company to get an Ancillary Terrestrial Component license from the FCC, which provides the legal permit for the hybrid system, they’re certainly not the only company pursuing the promise of a network that combines the best of tower and satellite mobile communications. TerreStar Networks is building "North America’s first all-IP enabled, next generation mobile communications network over an integrated satellite-terrestrial system" that "will provide universal access and tailored applications to millions of users throughout North America via mass market commercial wireless devices." Low-Earth Orbit satcom company LeoTerra is also involved. Whichever company gets there first with a hybrid system, however, the 4G broadband marketplace is likely to be tumultous in the coming years, as we wrote earlier this month. In January of 2008, the FCC will be auctioning off "the last beachfront-property" spectrum in the nation — the 60 megahertz spectrum being vacated by television broadcasters when they cease analog broadcasting in 2009 — and there are some big names — including Yahoo! and Google — that are lobbying the FCC to allow bidders to aggregate enough licenses to create new national 4G networks. Flaming space junk from a Russian satellite narrowly missed hitting a Chilean airliner over the Pacific Ocean, reports said Wednesday. 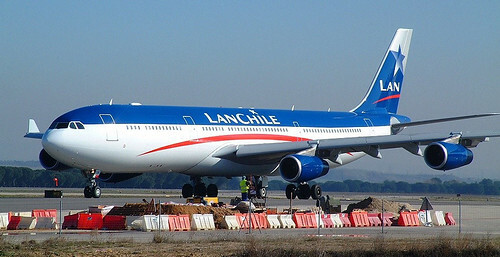 The pilot of a LAN Chile Airbus A340 en route to New Zealand told air traffic controllers he had seen pieces of flaming space junk falling about eight kilometres (four miles) in front of the plane and behind it, TV3 said. The aircraft was not struck by any of the debris and later landed safely in Auckland. Airways New Zealand, which manages New Zealand’s air traffic, said it had been warned by Russian authorities that an obsolete satellite was due to fall into the Pacific Ocean on Wednesday. But the debris had apparently fallen into the area 12 hours earlier than the time advised by the Russians. A spokesman for the Civil Aviation Authority, which is responsible for air safety, said it would launch an inquiry after it was advised of the details of the incident. During President Hu Jintao’s current visit to Moscow, the two countries agreed to stage a joint unmanned mission to the red planet and one of its moons in two years, the China National Space Administration said yesterday in Beijing. The agreement represents a "milestone" in the history of space cooperation between the two neighbors, the agency said in a statement. "It indicates the two sides have taken a key step forward to working together on a large space program." 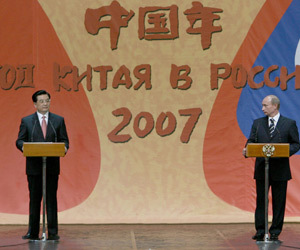 According to the agreement, a micro-satellite developed by China will be launched along with "Phobos Explorer", the Russia spacecraft, atop a Russian rocket in 2009. A timetable was not mentioned, but earlier Russian reports said the launch window for the 10-11 month voyage to Phobos, a Martian moon, will be October 2009. Phobos became a satellite of Mars millions of years ago, so studying material from the asteroid will give scientists information on the origins of the solar system and of Earth, the Russian news agency RIA Novosti cited Russian Academy of Sciences member Mikhail Marov as saying. After entering Mars’ orbit, the Chinese micro-satellite will be detached from the Russian spacecraft, and probe the Martian space environment, according to the statement. The "Phobos Explorer" spacecraft, with some equipment developed by the Hong Kong Polytechnic University, will land on the Martian moon and return to Earth with soil samples. Monday’s agreement was signed by the China National Space Administration head Sun Laiyan and the Russian Federal Space Agency chief Anatoly Perminov and witnessed by the two countries’ presidents. Last year, the Russian space chief revealed that his country would work "closely" with China on lunar exploration. Youriy Nosenko, deputy chief of the Russian space agency, told a press conference in Beijing last November that Russia regards China as a "partner" in space exploration, and the two sides have shown interest in a lunar project. China has started a three-stage moon exploration project, including sending a lunar orbiter some time this year, followed by a soft landing in 2012 and the return of lunar samples in another five years. Unlike NASA, a civilian agency, the China National Space Administration falls under the supervision of the Commission of Science Technology and Industry for National Defence. But hey, the Taikonauts have their fans. At Johnson Space Center, scientists are hard at work building the next generation of spacesuits for American astronauts’ return to the moon. And at least one scientist there seems to have been destined to do this work; his name, appropriately enough, is Joe Kosmo. Developing the new suits is easier than in the Apollo era, when designers had to rely on slide rules and drafting tables. The suits are designed and re-designed on computer screens before any hardware is used. "There’s a lot more capable tools and technology to get the job done – a lot more knowledge, as well – so we can capitalize on them," said Joe Kosmo, who participated in the design, development and testing of suits from the Mercury, Gemini, Apollo, Skylab and shuttle eras. At the top of the list is making the next spacesuit smaller and lighter – engineers are hoping to halve the 200-pound weight of the suit and life support backpack that Apollo astronauts lugged around. NASA plans to use new, lightweight composite materials and take advantage of smaller electronics to shrink the life support backpacks. NASA also wants the astronauts to be able to move around easily. Terry Hill, who’s developing the new spacesuit, recalled the robotic-like hops of the Apollo astronauts broadcasting from the moon. "Mostly, that was because of mobility – they just didn’t have it," he said. 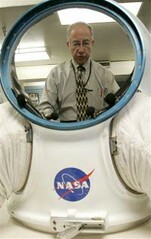 Scientists at Johnson Space Center aren’t the only ones working on new spacesuits, however. Students at the University of North Dakota and four other schools are testing their design in the Utah desert, according to another AP report. And scientific advancements in other arenas could quickly find their way into the next generation of space suits, as this New Scientist Space article on "power skin" technology suggests. For ourselves, we’re looking forward to seeing more of the next iteration of the Joe Kosmo line (sketched above). But we know without a doubt that, as with any summer line of fashion, lightweight is in. "In a referendum, the people of Las Cruces and surrounding Do?a Ana County will be voting on a proposal to slightly raise their county sales tax, a highly unpopular idea these days. But in return, southern New Mexico, one of the poorest regions in the nation, would jump on a fast track to hosting the world’s first all-commercial spaceport. If the effort succeeds, a desert valley used by a handful of ranchers could become Spaceport America — a 21st-century portal for thousands of people hoping to blast into space as tourists, explorers, researchers and, maybe someday, as commuters to destinations halfway around the world." 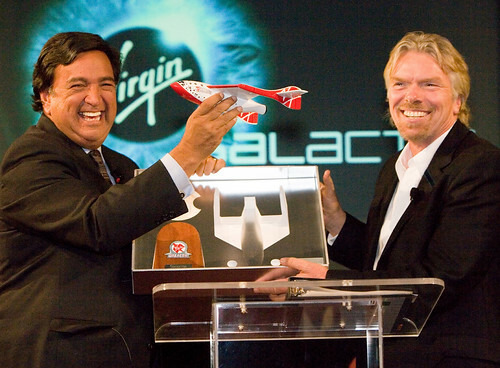 Located near the White Sands Missile Range (& National Monument) and Truth or Consequences, NM, the planned SpacePort America is already set to be one of the main launch points for Richard Bronson’s Virgin Galactic (which we’ve already written about a few times). The controversy, of course, stems from the sales tax increase that would be needed to build the the spaceport which would ad around $0.25 to a $100 purchase, mostly on the backs of poor, area residents, some of whom already live in areas without proper roads, water, or waste removal systems. We’ll let you know how the vote turns out in the weeks ahead. DIY Friday: Your Own Home Theater System! For today’s Do It Yourself activity, all you need is some wood, carpeting, a TV set with DVD and a surround sound system, and… oh, yeah…. an indoor pool. Swimming pools, even indoor ones, just aren’t all that tempting in regions where the mercury rarely reaches above 80 degrees. So when the owners of this Wisconsin home purchased their residence, they decided to convert the indoor in-ground pool that came with the property into a fully functional home theater. Flooring and carpeting were added to the concrete bottom of the 20-by-40-foot area, and draperies were hung over the room’s windows and metal walls to soften up the space. However, not all signs of the building’s former life were removed. Wiring for the audio and video components was pulled through the pool’s existing plumbing systems, and the slope of the pool floor was maintained to create a stadium-style seating arrangement. The concrete sides of the pool precluded speakers from being built in, so the homeowners opted for Klipsch floorstanding models. The 106-inch Draper screen was suspended from the room’s existing rafters using aircraft cabling and secured at the edge of the pool to keep the material taut. Last but not least, the Marantz video projector was mounted to the ceiling, and the audio and video components were stowed inside an equipment rack at the back of the room. Sound like too much work for a simple DIY Friday project? Or, more to the point — don’t have a high-falutin’ indoor pool? Well, luckily there are options for the more proleteriat among us. The basic surround sound setup consists of 5 speakers plus a subwoofer, known as 5.1 surround. The center speaker, called the center channel, is positioned just above or below the television and is intended to handle dialog. A pair of left and right speakers are placed to the sides of the television about 6 to 8 feet apart; wider if you have a very large screen. The left and right speakers handle the heavy lifting of the soundtrack like music and sound effects. A pair of satellite speakers are placed on each side of the viewing audience to add atmospheric sound effects like the sound of a crowd or bullets whizzing by. The "point one" in 5.1 is for the subwoofer. The sub handles low frequency sound and adds emphasis to explosions or to a dramatic music score. The only bad advice from DIY Home Theater Design comes when they advise: "Don’t let the new terms and acronyms spook you because it’s really not rocket science." We, of course, beg to differ. It is rocket science. An even cheaper mini-home theater system can be created using your existing television components and a Mac (details here), but if you really want to combine your computer and home theater system into one seamless operation (and solve the "last 50 feet" problem that must be overcome before non-rocket-scientists really start to embrace the nexus of IP and broadcast technology) and chuck the whole DIY concept out the window in the process, then check out the just-released Apple TV. So what is Apple TV? Basically, it’s an iPod for your TV. That is, it copies the iTunes library (music, podcasts, TV shows, movies) from one Mac or Windows PC on your wired or wireless home network to its 40-gigabyte hard drive and keeps the copy updated. The drive holds about 50 hours’ worth of video or 9,000 songs; if your iTunes library is bigger than that, you can specify what subset you want copied — only unwatched TV episodes, for example. A tiny white remote control operates Apple TV’s stunning high-definition white-on-black menus, which are enlivened by high-resolution album covers and photos. You can see the effect at apple.com/appletv. The integration of iPod, iTunes and Apple TV offers frequent payoffs. For example, if you paused your iPod partway through a movie, TV show or song, Apple TV remembers your place when you resume playing it on your TV. Cool. So what do you call a space agency with no institute for advanced research? Wait, you can still call it a space agency? While that’s not much of joke, it reflects the increasingly grim reality at NASA if the recent reports in the New Scientist and WIRED are believed to be true that suggest the NASA Institute for Advanced Concept (NIAC) is being closed due budget constraints. What’s the ironic source of the constraint’s that might put an end to NASA most forward thinking research institution? Why building the next generation space craft set to replace the shuttle after its forced retirement in 2010. "NIAC seeks proposals for revolutionary aeronautics and space concepts that could dramatically impact how NASA develops and conducts its missions. It provides a highly visible, recognizable, and high-level entry point for outside thinkers and researchers. NIAC encourages proposers to think decades into the future in pursuit of concepts that will "leapfrog" the evolution of current aerospace systems. While NIAC seeks advance concept proposals that stretch the imagination, these concepts should be based on sound scientific principles and attainable within a 10 to 40-year time frame." While budget constraints are budget constraints, I’m going to have to agree with the folks over at the NASA Watch when they say eliminating the NIAC is a big mistake. "This is just plain stupid. Let me repeat this for clarity’s sake, Mike [Griffin, NASA Administrator & "head honcho"], (whoever made it) this is A STUPID DECISION. Advanced spacesuits that will open the surface of the moon – and then Mars- to meaningful and productive human exploration, tethers and other innovative and upmass-saving technologies, and other in-space technologies. Where are you going to get all of the things you need to put on those Ares rockets so as to allow their crews to carry out their missions, Mike? Or do you "just need a good map"? Explorers without the right tools die – or turn around – and head back home. Wrong answer, Mike." Question: what is the fate of the second stage? "We didn’t achieve the desired orbit. But at this point I don’t exactly know the fate of the second stage. We got to 300 km. That’s about all I know at this point." "All that I can say for sure right now is it’s not in the intended orbit. The likelihood is that it re-entered after probably half an orbit or so." 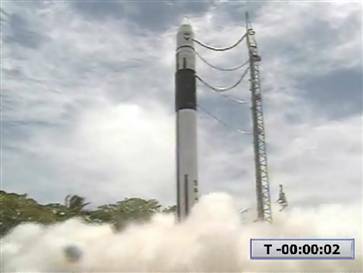 "The roll-control anomaly did cause the second stage to shut off prematurely. So that’s not achieving the intended orbit. However, I would say we’ve retired probably in excess of 90 percent of risk associated with the rocket. 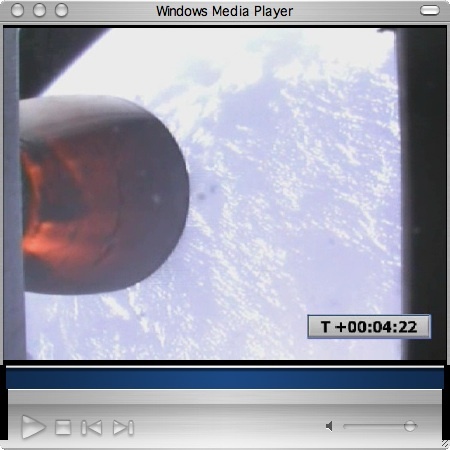 And it is worth noting, this was a test launch not a satellite launch." Elon Musk‘s brother said it best via this blog post. More photos here. He’s right: entering space is a success — all the riskiest aspects were well done. They’ll probably learn much from this experience and the next one will be perfect. Hey, they might even be able to recover the first stage and use it again! An aging satellite that has been in operation for seven years but was expected to last for only five is putting America’s hurricane forecasting ability at risk, according to a story from the Associated Press. The QuickSCAT satellite "conducts daily surveys of 90 percent of the ice-free oceans, using a so-called radar scatterometer to measure surface wind speed and direction." The resulting images are not only visually compelling — they provide scientists with fresh information about our planet’s weather patterns. But the cause celebre of QuickSCAT are images like the one above, showing the wind speeds of Hurricane Dora back in 1999. Certain hurricane forecasts could be up to 16 percent less accurate if a key weather satellite that is already beyond its expected lifespan fails, the National Hurricane Center’s new director said Friday in calling for hundreds of millions of dollars in new funding for expanded research and predictions…. One of Proenza’s immediate concerns is the so-called "QuikScat" weather satellite, which lets forecasters measure basics such as wind speed. Replacing it would take at least four years even if the estimated $400 million cost were available immediately, he said. It’s in its seventh year of operation and was expected to last five, Proenza said, and it’s only a matter of time until it fails. Without the satellite providing key data, Proenza said, two- and three-day forecasts of a storm’s path would be affected. The two-day forecast could be 10 percent worse, while the three-day one could be affected up to 16 percent, Proenza said. That would mean longer stretches of coastline would have to be placed under warnings, and more people than necessary would have to evacuate, he said. We’ll keep you updated (as we always do) on efforts to replace QuickSCAT and other observation satellites that help bring people the accurate forecasts (we’re not joking here!) that they’ve come to expect.